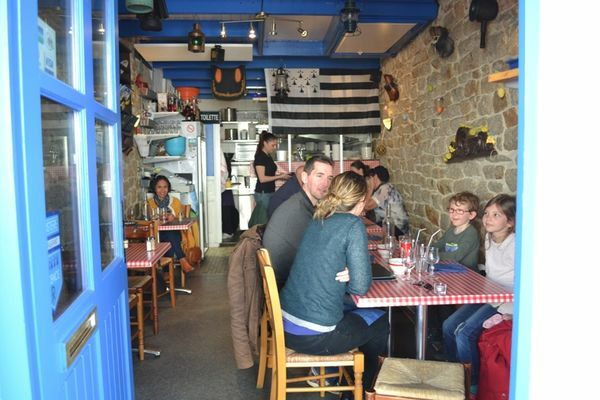 Richard and Marie welcome customers to their little pink creperie with a friendly atmosphere and a menu of delicious crepes. 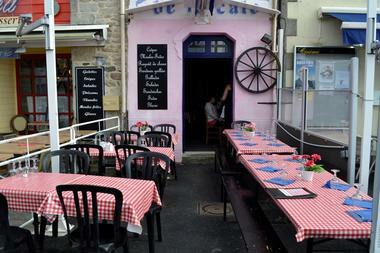 Lovely terrace on the harbourside, overlooking the Pont l'Abbé River and splendid sunsets. Ouvert de fev à oct et pendant les vac scol, 7j/7, service continu : 12h-22h (23h en été).